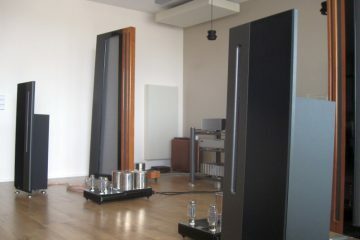 Apogee Acoustics Incorporated founded by Jason Bloom and Leo Spiegel. The Full Range also known as “The Apogee” is the first full ribbon speaker released. The legendary Scintilla is released to critical acclaim around the world. Release of the original Duetta, a smaller and more importantly easier to drive Apogee. Release of the Caliper, the smallest Apogee so far, and the revised Duetta II. 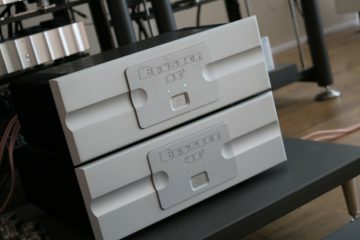 The Diva, Apogees second 3 way with a true ribbon tweeter enters production. 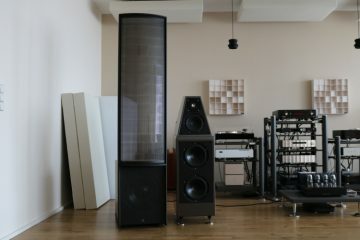 The release of Duetta Signature which came to be Apogees most popular speaker. The revised Caliper Signature is released. Apogees smallest and cheapest speaker the Stage is released, the first with etched ribbon components. 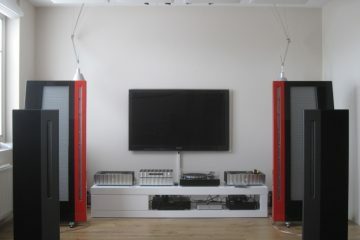 The Centaurus range, Centaur Minor, Centaur and Centaur Major are released, Apogees first hybrid range ribbon/cone speakers. 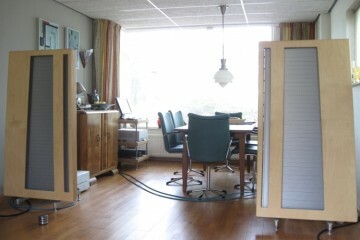 Release of the Grand series, Mini Grand, Studio Grand, and Grand the companies statement speaker. 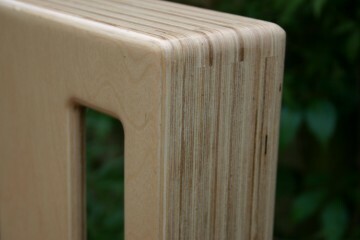 The Slant range, replacement range for the Centaurus are released. 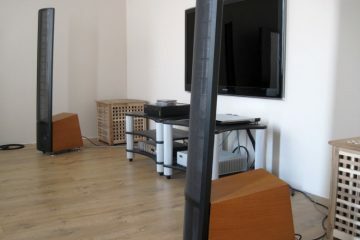 Home theatre LCR (Perseus), Ribbon Monitor, Column and In-wall speakers released, ADS Technology Inc purchase Apogee. 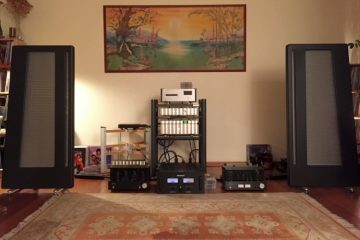 ADS closes Apogee Acoustics as it is considered not commercially viable, leaving owners without spares support, Matt Carnicelli starts the Apogee Acoustics Users Group. Graeme “Graz” Keet reforms Apogee Acoustics and starts supplying revised upgraded spares for the majority of the Apogee line improving the original performance using proprietary CNC ribbon machining equipment. Establishment of Apogee Acoustic’s local service centres commences. 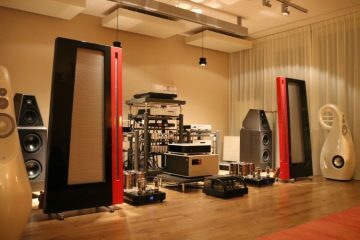 Operators trained by Graz to repair clients speakers with exclusive agreements to use Graz revised Apogee Acoustic’s parts, and installation procedures within their regions. First in the UK, then Switzerland, the Netherlands, East Coast USA, Germany, West Coast USA. Apogee Classic speaker build service offered, and “special products” new reference Apogee Acoustic’s Definitive speaker announced, taking the classic Apogee visual appeal, but adding massive structural rigidity and considerably higher efficiency. Late 2004 sees the introduction of KLM2 & XLM2 series Mid/tweeter ribbon parts available for Apogee speaker owners worldwide, for either home or installer installation. 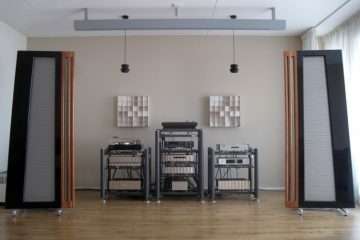 Ability to use the www.apogeeacoustics.com domain granted by title holders for the first time. 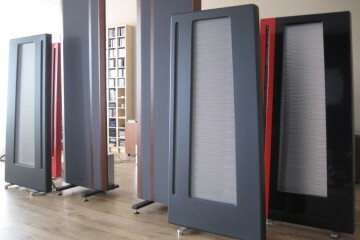 Introduction of the new Apogee Acoustic’s Synergy loudspeaker at the London Park Inn show (22-24th September 2006) covered widely by the audio press (Stereophile link), many clients past and present attend the show from all over Europe and the world. 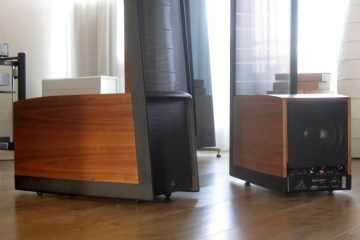 Apogee bass restorations policy changed so all installations will be carried out exclusively by Apogee Acoustic’s (Graz) trained installers to establish quality control befitting the repair. New Apogee Acoustic’s KLM5 series Mid/tweeter ribbon parts announced for classic Apogee speaker owners, home installation (excluding 3 element type Caliper/Duetta/Diva) or installer installation.